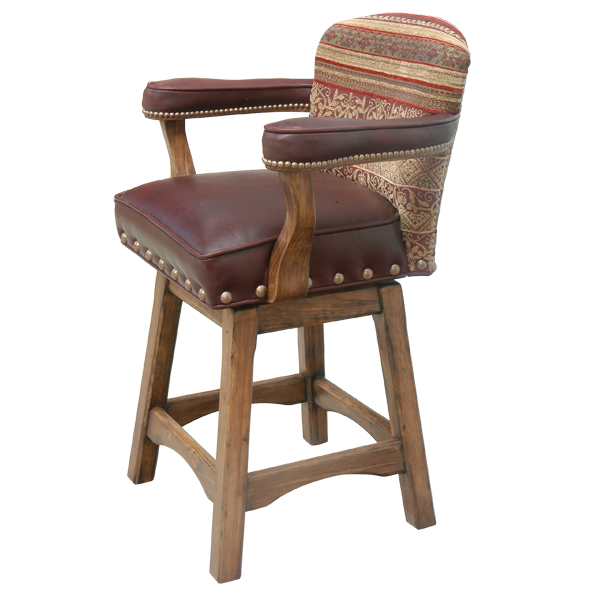 The combination of fine fabric and full grain leather makes this handcrafted bar stool a great decorating option. With its beautiful lines and soft brown tones it will adapt to most existing home décor. The inside seat back is upholstered in complimentary fine patterned fabric with brown tones, the reverse seat back is upholstered in contrasting fine patterned fabric, and the seat and armrest are upholstered in rich natural brown full grain leather. 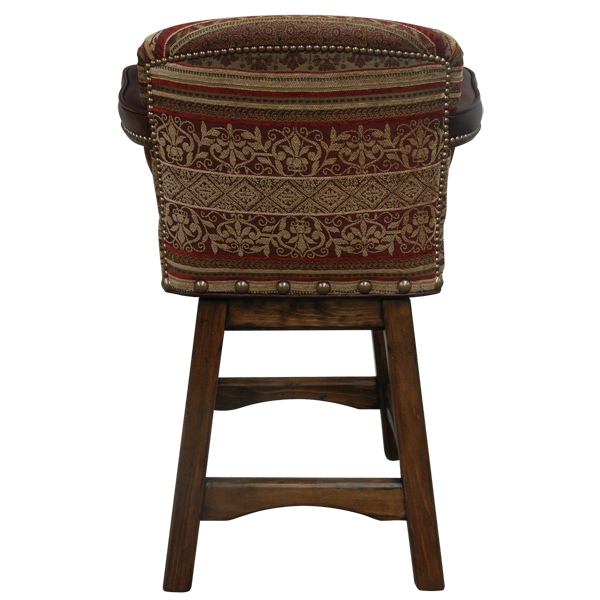 All upholstery is hand tacked to the entire wood frame with precision by our skilled craftsmen. Durable and comfortable, the bar stool is made with the best wood available. 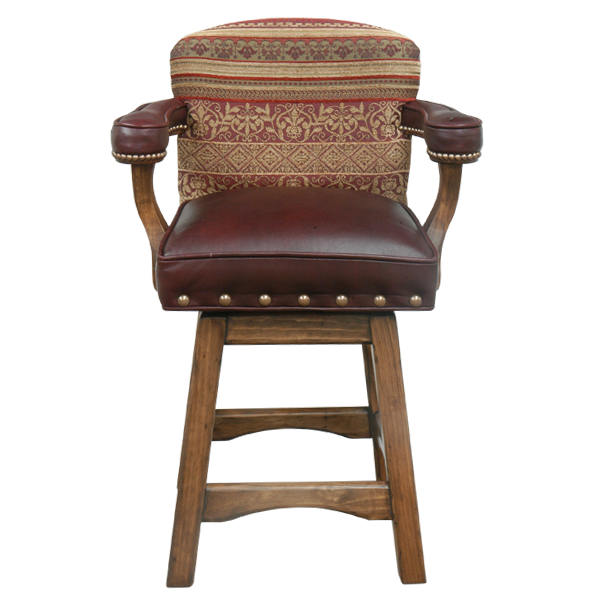 The entire bar stool sits on splayed solid wood legs joined by a curved cut foot rest box stretcher. The bar stool swivels 180° and is 100% customizable.